Setting up Client PKI certificates is one of the essential steps for HTTPs communication from CMG to MP/SUP. In this post, we will see how to complete Client PKI setup task for Co-management scenarios. Once you have Root CA, Client PKI certificates configuration is pretty straightforward. This is a critical decision point for your device management strategy. AAD identity is a better alternative for Client PKI. Even though you have AAD joined machines, you should have public certs for CMG and CDP. So, you need to decide whether you are going with internal PKI or Public PKI. 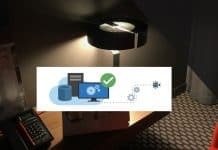 How to Deploy Client PKI Certs to Internet Connected Devices is another important point. Another checkpoint before implementing Client PKI is whether you need to enable Client Check the certificate revocation list (CRL) for site systems or not. I have NOT enabled CRL for my lab environment to reduce the overhead. There is two section in Client Computer communication. One is to get the server side (site system Settings) ready for the secured (HTTPS), and the other is to configure client computer settings. 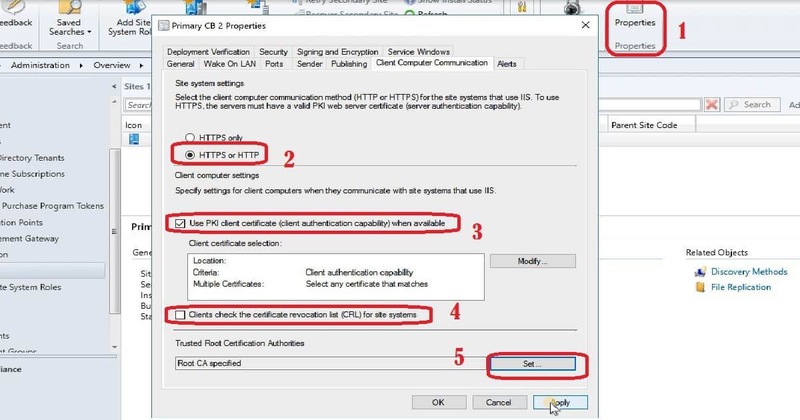 Select the client computer communication method (HTTP or HTTPS) for the site systems (MP/SUP) that use IIS. To use HTTPS, the server must have a valid PKI web server certificate (server authentication capability). 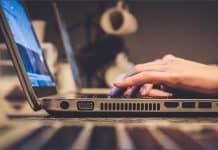 Specify settings for client computers when the clients communicate with site systems that use IIS. Use PKI client certificate (client authentication capability) when available. Public Cert and AAD authentication are other options instead of using Client PKI certificates (as I mentioned in the above section). In the SCCM CB console, choose Administration. 3. Right click on Primary site server and choose Properties, and then choose the Client Computer Communication tab. Client Computer Communication tab is available on a primary site only. 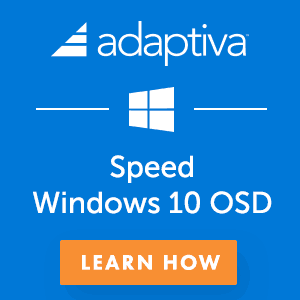 If you do not see the Client Computer Communication tab, check that you are not connected to a CAS or an SCCM secondary site. 4. Choose HTTPS or HTTP option when you do not require your existing SCCM clients to use PKI certificates. This will also help to implement client PKI for co-management scenarios. If you chose HTTPS or HTTP, choose Use client PKI certificate (client authentication capability) when available when you want to use a client PKI certificate for HTTP connections. The client uses this certificate instead of a self-signed certificate to authenticate itself to site systems. This option is automatically chosen if you choose HTTPS only. 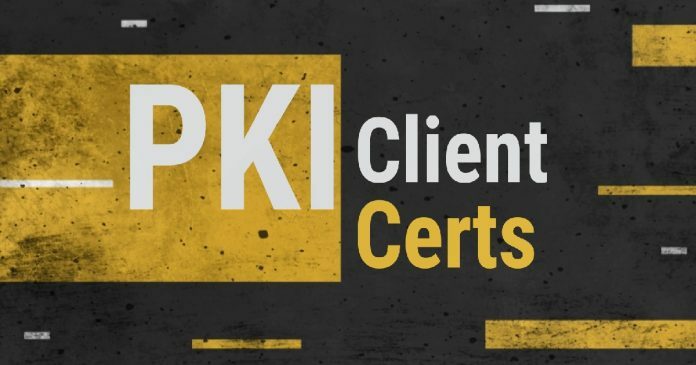 When clients are detected to be on the Internet, or they are configured for Internet-only client management, they always use a client PKI certificate. 6. Choose Modify to configure your chosen client selection method for when more than one valid PKI client certificate is available on a client, and then choose OK. I don’t have more than one client PKI certificates hence I didn’t modify this in my lab environment. 7. Select or Clear the check box for clients to check the Certificate Revocation list (CRL). I clear the check box for CRL to reduce the overhead as mentioned in the above section of this post. 8. Choose SET button under Trusted Root Certification Authorities section. Non mandatory step for Co-Management scenario. 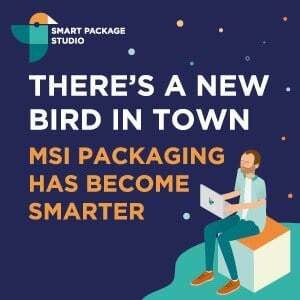 Check out the following link for more details. 9. Browse and Select your Root & Intermediate CA certs from Set Root Certificates windows. I don’t have intermediate CA cert hence I uploaded only Root CA. 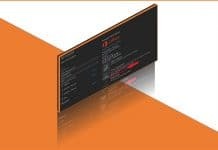 Specify trusted root certification authority (CA) certificates for clients, choose Set, import the root CA certificate files, and then choose OK. When you don’t upload Trusted Root CAs in the Trusted Root CA setting on the Client Computer Communication tab, SCCM trusted check but assumes that Trusted Root certificates are otherwise properly implemented on clients and servers in the environment. I have not tested this in the latest version of SCCM CB environment. Following are some of the thought points which I have in mind and implemented in my lab environment. Do you need the PKI cert (SCCM Client Cert) to be added to a secondary site if it’s interforest, two-way, transitive trust? Domain A has my primary, but Domain B has my secondary site. Primary uses HTTPS, but secondary is just HTTP. 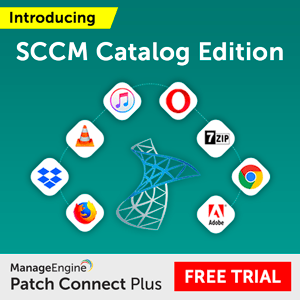 Computers are being assigned the primary site, but the sccm client is not installing, and I think it’s because of the cert. I wonder if I can put that cert into IIS of Domain B – secondary site – will that work? 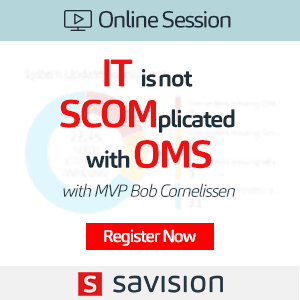 I have separate CAs, and the Domain A admins don’t want me to put the sccm client cert into the CA. I would like to know your scenario. What are you trying to implement? Co-Management? We have 1 Primary Site with 3 Distribution Points. Is there a easy way to work out which servers will need the Web Server cert ( IIS ) and which will require the Workstation Authentication cert ?